The Black Fridays Deals started earlier than ever in the UK. I opened the Amazon.co.uk to see what’s going on – online window shopping for the things I can’t afford is a guilty pleasure of mine. I noticed Amazon Echo devices on sale. I click through and the Amazon Echo Dot 3rd gen was also well discounted. Currently, you can pick the 2nd gen Dot for £19.99 and the Amazon Echo Dot 3rd gen for £24.99! 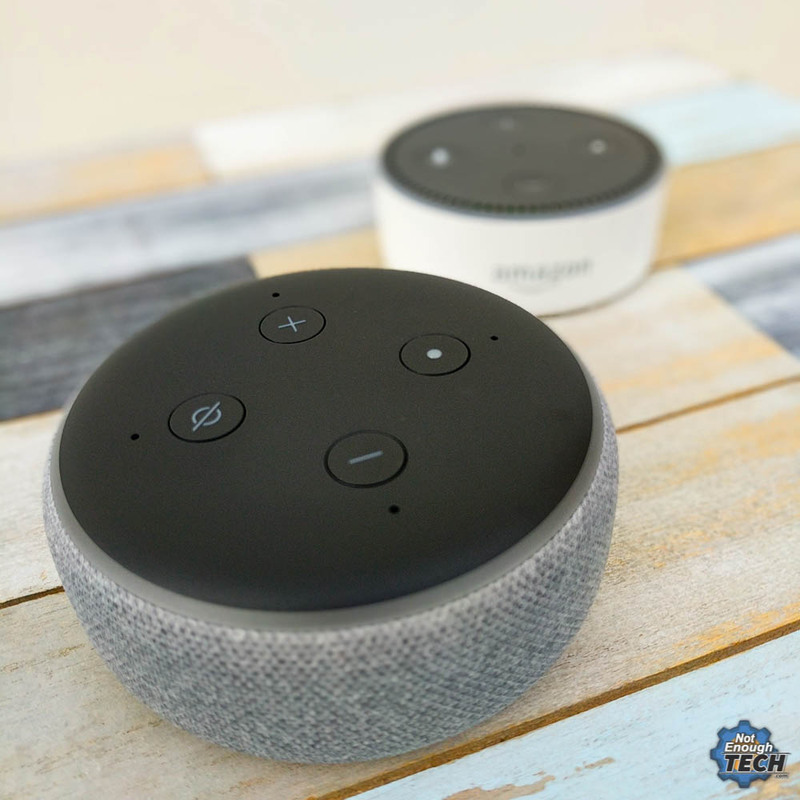 Amazon Echo Dot 3rd gen – a better Dot? 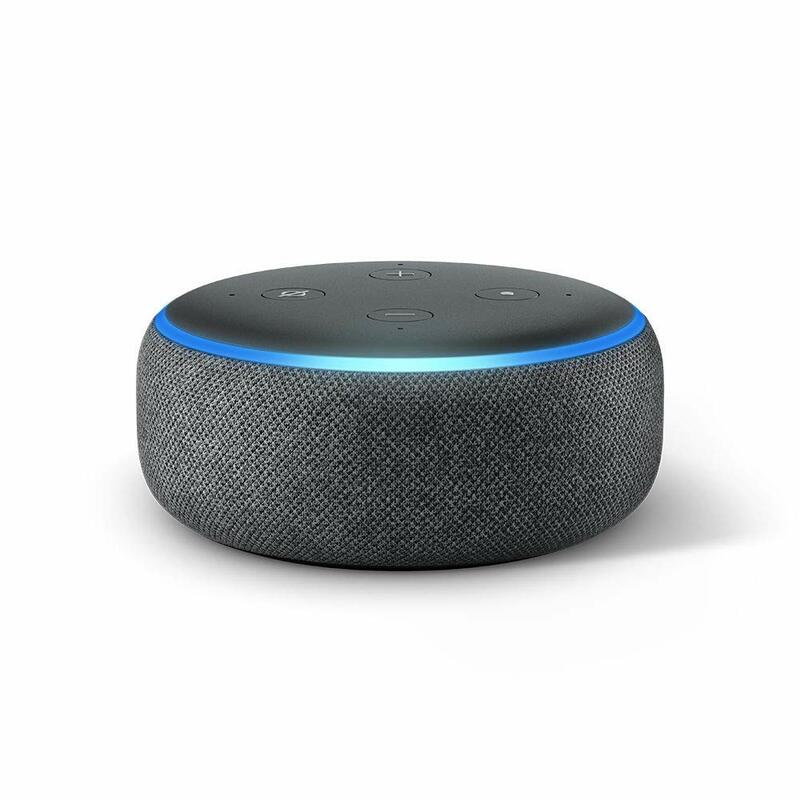 Snuggly wrapped in fabric, the Amazon Echo Dot 3rd gen looks like something that would be a child to the Google Home Mini & previous generation, Alexa Echo Dot. I opted out for a grey fabric in hopes that I won’t leave any stains on the fabric. The device is much heavier, despite a very similar form factor. It gives the impression of a well-made gadget, with a more round face. Let’s start with the fact that the Amazon Echo Dot 3rd gen brings very little new things to the table. It does everything that previous generation devices do. The sound! Until now, Google Home Mini has been a benchmark for a great sound that comes out from a small form factor device. 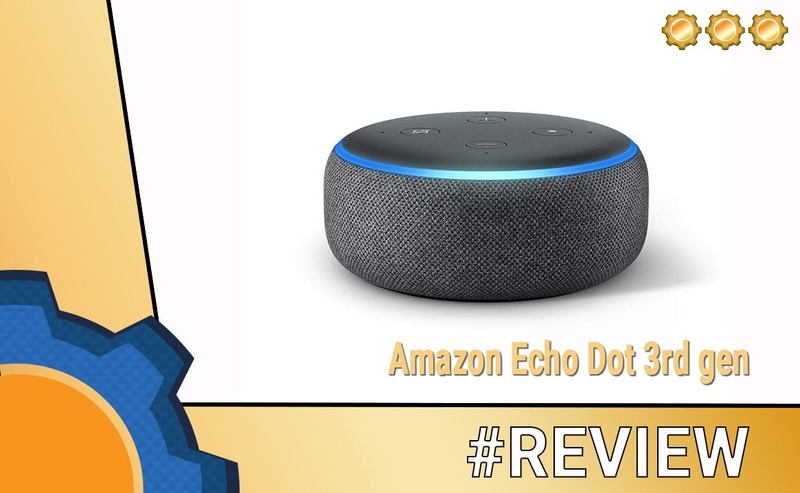 Amazon Echo Dot 3rd gen simply destroys the Google’s counterpart with deeper tones, nice bass and pleasant sound. Honestly, I picked up the device for £24.99 and this is the best speaker I played with so far! I’m very tempted to run back, pick up another one, so I could play the music in stereo. Yes, you can do that if you have 2 models of the same Echo devices. Only sanity, and the fact I also got the Chromecast stops me from splashing out more money. I begin to understand why the new Amazon Echo Dot 3rd gen comes with a proprietary charger. The plug is rated at 15W, and I’m pretty sure this is the reason why the Dot isn’t powered by the USB interface. USB 3.0 & USB-C could technically deliver enough Watts to power the speaker, but something tells me Amazon wasn’t keen on dealing with the compatibility issues. USB 2.0 remains the most popular standard and I would connect my speaker to that port without thinking as well. I’d love to see the USB-C version, as the sooner we all jump to that standard the better for everyone. The weakest link of all Amazon Amazon Echo devices is the Alexa app. While there isn’t anything wrong with the app layout, the app is dreadful to use. It’s slow, laggy, unresponsive. I no longer bother to control anything via the app itself. 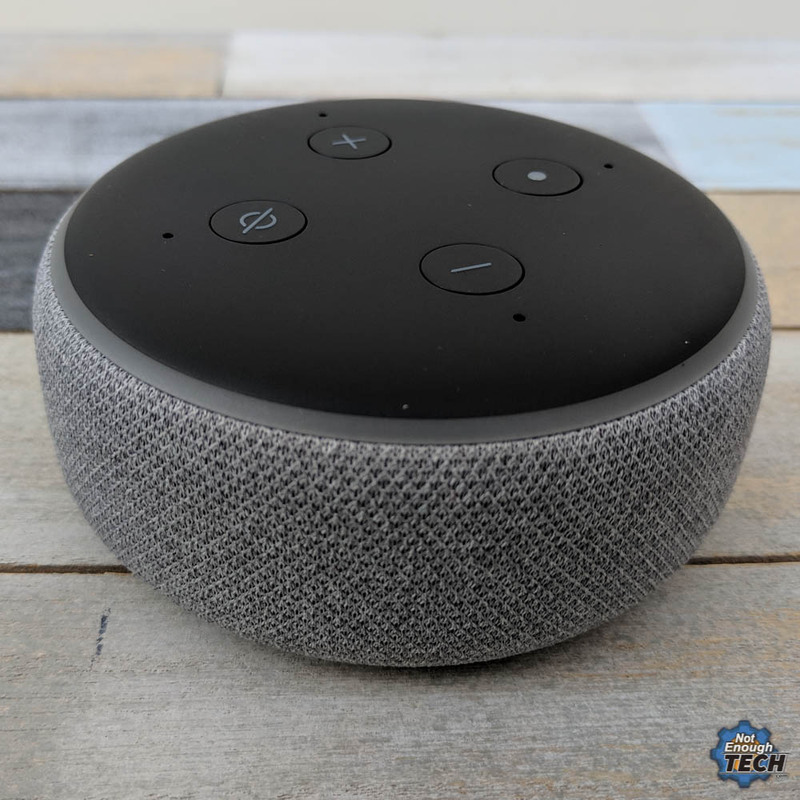 It would take me less time to go to the kitchen (a flight of stairs, and 2 rooms to cross) than open the Alexa Android app and try to do it via voice command or graphical interface. Echo Devices are very good at picking sound up from various distances, even when the music is playing at significant levels. 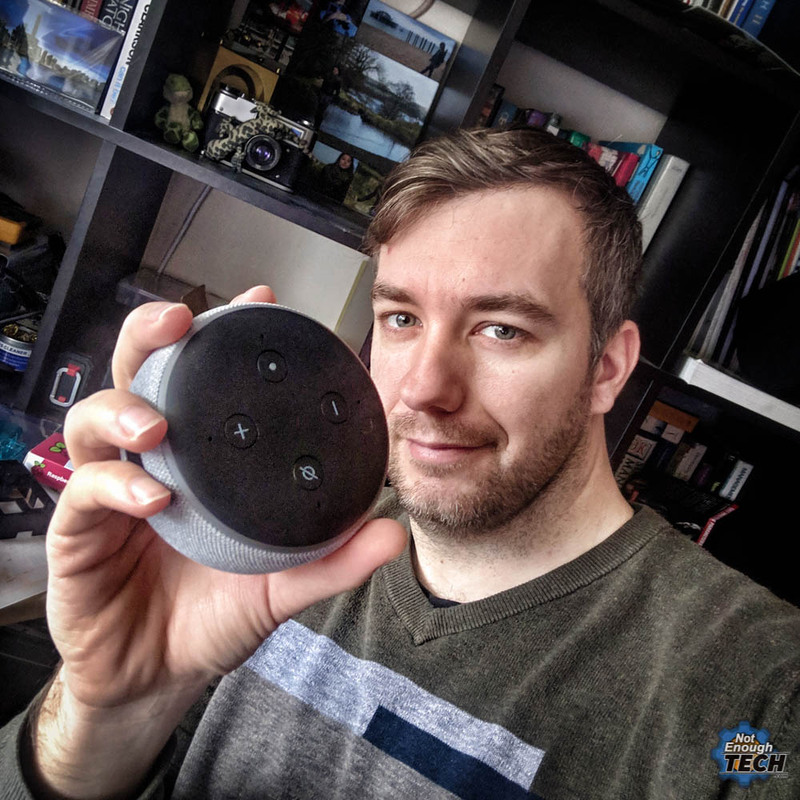 I can’t stand lack of physical buttons on Google Home Mini, as both are placed on my desk within the palm’s reach so adjusting the volume on the Amazon Echo Dot 3rd gen is a breeze. The connectivity seems to be fine as well. I have the Amazon Echo Dot 3rd gen running on the 2.4GHz band as it is placed in the worst possible location for WiFi. I’m yet to encounter any connectivity based issues. Amazon is seriously stepping up its home automation game. 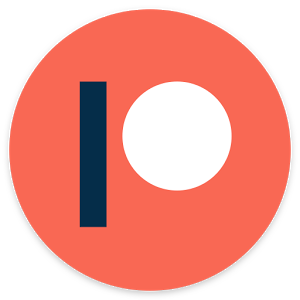 The gadgets are very well priced and the Amazon ecosystem is super easy to integrate with NodeRED. Currently, Amazon wins over Google when it comes to the hardware design, but lags behind in terms of the software. Lack of Google Play Music is a serious disadvantage as I have my library stored online. I will have to come up with a clever way of accessing that. 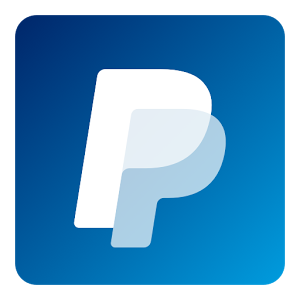 If you are in the USA, I hope you will get a chance to try the new device at a discounted price too!